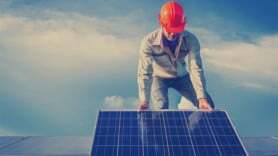 Norwegian oil giant Statoil is taking its first step into the solar industry with a Brazilian joint venture. It has signed an agreement to buy a 40% share in the 162MW Apodi solar project from Norway’s Scatec Solar. Located in the municipality of Quixeré, it will generate enough electricity to power around 160,000 homes. Statoil will also own a 50% interest in the project execution company and agreed on an exclusive co-operation to jointly develop potential future solar projects in Brazil. It is paying a total of $25 million (£18.8m) for the deal. Construction of the project is expected to start next month.